Russia, 13th century. 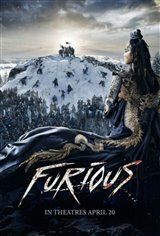 A fiery teenager, Evpaty Kolovrat is left for dead following an ambush by Mongolian warriors, during which his father is captured. Thirteen years later, having become a respected family man in the small principality of Ryazan as well as an expert in strategy and weapons handling, Kolovrat is chosen by the prince to dissuade the powerful Batu Khan from attacking the population of Ryazan. Impressed by the young emissary, the Mongol leader offers him a talisman that guarantees his safety and survival. But in the same breath, he orders the massacre of the delegates who accompanied him. However, they manage to escape with prisoners, including Kolovrat’s father. Slowed down by a snowstorm, they return to Ryazan to find that Khan's army has destroyed it during a bloody siege. With a handful of survivors, Kolovrat leads the resistance against these hordes of heavily armed invaders.